To support the credibility and validity of home educators by being a positive and professional image in the public eye. To offer leadership training from a Biblical worldview to those within our sphere of influence. MMA a operates under the asumption that the Bible is God's holy word instructing us in all areas of life including music. We know music is important because one book of the Bible is comprised entirely of songs - the book of Psalms. We believe music is for both worship and our enjoyment. We, like David, can use music to express the heart. Thus, we hope to further enable children to express themselves to God and others through this unique and powerful medium of music. Focusing on but not exclusive to the homeschooling community, MASTER Music Academy seeks to provide band and choir for students ages 10 to 18. Across the country homeschool bands and choirs are a growing part of home education. MASTER Music Academy's experienced teachers provide a positive, fun, and Christian environment to learn and experience music. 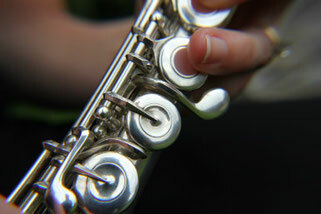 Students of all levels of experience are eligible to participate in the band and choir ensembles.